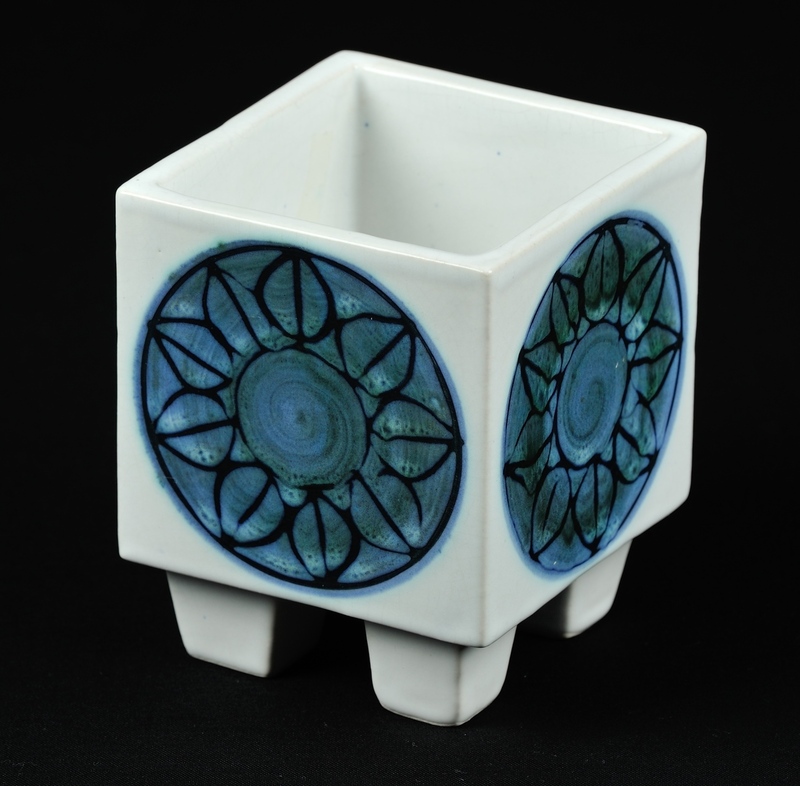 This small footed cube vase has the early trident marks and was most likely made in St. Ives. 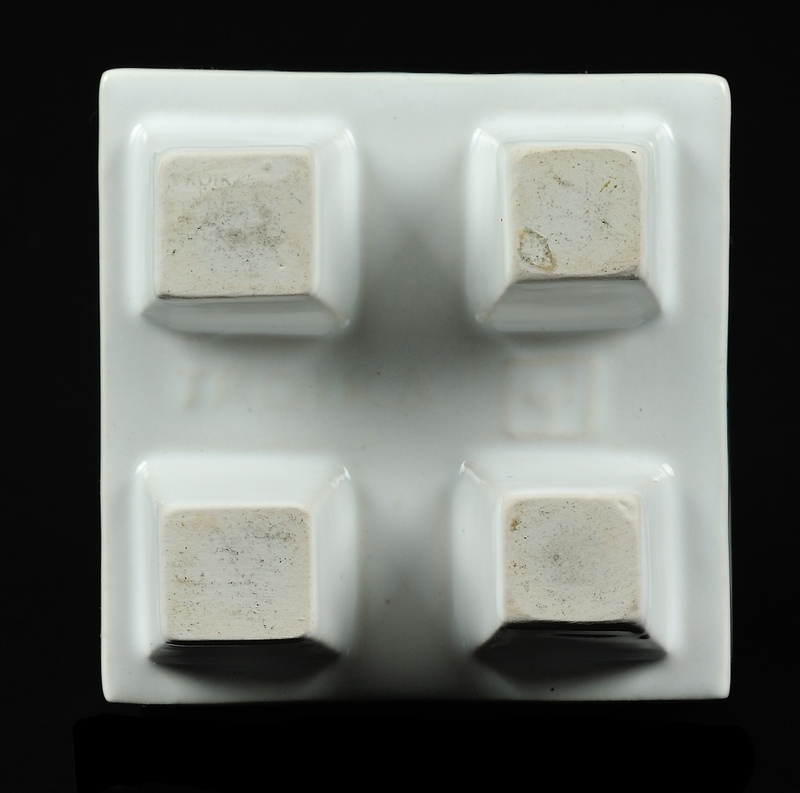 This cube from my collection is about 3.375 inches (about 86 mmm) wide on each side and stands about 4.125 inches (about 105mm) tall. The raised "Troika" and trident mark are visible in the second image and were part of the mold.